Nearly $2 billion in damages is caused by termite infestations each year throughout the United States. 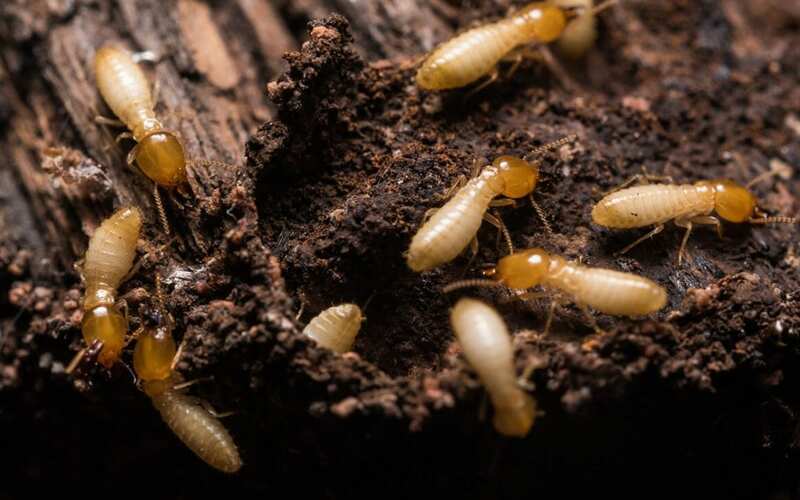 Termites eat the cellulose found in wood and decaying vegetation. Your home is the perfect place to get all the cellulose they need. Once termites infest the property, they can potentially cause major damage to your home. It is important to take measures to prevent termite infestations to protect your home from this destructive pest. Smart homeowners understand the importance of protecting their home from termites and the damage they cause. While pest control professionals are there to treat infestations, you never want it to reach that point. You’ll have greater peace of mind in a home that you know is termite-free. To keep termites away from your property, use the information below to your advantage. An annual termite inspection can detect termites that are present on the property, even those burrowed deep within the structure of the home. Having a regular termite inspection can save you from letting the problem grow into a full-blown termite infestation. If termites are found in your home, the inspector will make recommendations about a course of action. Termite pre-treatments prevent termite infestations at your property. Termiticides protect the home by adding a barrier that termites cannot cross. The termiticide also kills any termites currently on the property or inside the home. You can dig a trench and apply the pre-treatment barrier yourself, but it is best to phone a professional to schedule the service since they know firsthand how to treat the problem. You should remove any cellulose materials from your home, including cardboard boxes that may be lying around. Remove dead tree stumps and fallen tree branches too. If mulch is used in your lawn, either keep it far away from your home or replace the mulch in the garden with a cellulose-free mulching material. If wood siding is used on your home, make sure that it sits at least six inches above the ground. You have worked hard for your home and it would be a shame if a preventable pest like termites caused damage. But if you take the proper steps to keep termites away from your property, you can greatly reduce the chances of this happening. Use the information above to your advantage and prevent termite infestations in your home. Sunbelt Inspections serves Houston and the surrounding areas with termite and wood-destroying insect inspections and other home inspection services. Contact us to schedule an appointment.